I have exclusively used T-series and X-series ThinkPads for the last 15 years. They are durable as hell, and generally, aside from wear marks, they hold up exceptionally well to the stress of being carried in laptop bags, drops, spills, etc. However, my X230 received extra-high wear and tear when it became both my primary home and work machine about 5 years ago due to my old work computer began having lots of issues. I ended up using my own laptop until the university eventually funded a replacement. With my old laptop starting to fall apart, I began looking at the high costs of buying a new laptop and rationalizing the fact that I really didn't need a performance upgrade. If anything, I just needed a new case, but that's easier said than done. As a father and husband, I don't have time to try to hunt down a replacement case and spend the time performing a major service on old components that I'd probably end up damaging in the process of transferring them between cases. That is when I decided to research a used system as a potential replacement. ThinkPads generally have a very active used/refurb market, so I started looking around on eBay, Amazon, NewEgg, Lenovo Outlet, etc. I found that most replacement systems were priced between $300-$400 for laptops in excellent condition. Considering that I paid Lenovo around $800 dollars for the X230 when it was new (before upgrades), I didn't want to pay half of that price for a system that was 6 years old. That just seemed like too much spend. So, I looked at other models from the same generation where my upgrades would still be usable. 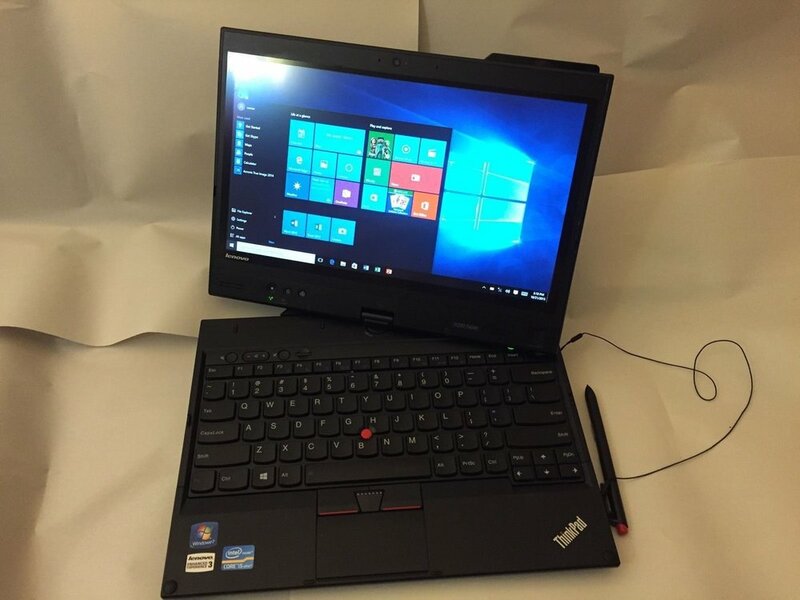 While the T430 was compatible, most of the used T430 laptops were so heavily worn they were in worse condition than my old X230, so I decided to look at a specialized model that was totally out of my price range when it was originally released: The ThinkPad X230 Tablet. A dented ventilation exhaust grill that lost a tiny piece of plastic when I straightened out the dent. A small scratch on the top the laptop. The Touchpad surface shows some wear marks. The battery only holds a 29% charge. A used SSD drive with unknown level of wear was included with the laptop. The seller had placed mismatched aftermarket RAM in the laptop. Again, I shopped used, but I was able to get both devices used for a steal. 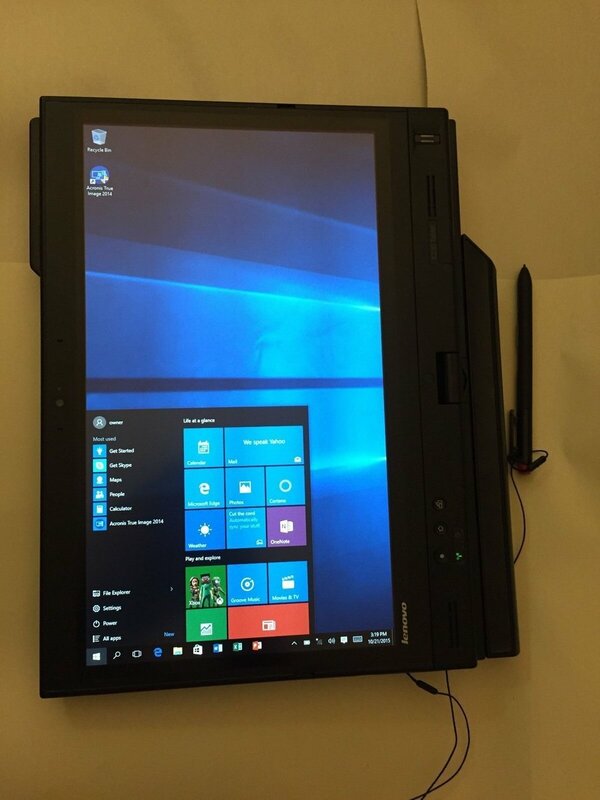 With patience, I won an auction for the Ultrabase 3 for $0.01 and the ThinkPad USB 3.0 dock (0A33970) was only $25 bucks. I did have to pay $14.99 in shipping on the Ultrabase 3, so the total cost for both items was $40.00. I was able to reuse all my parts and accessories except for my old docking station. The X230T has a fingerprint scanner, my old model did not (This saves time unlocking the system). The X230T has a full-size DisplayPort so it's easier to connect to external monitors. While my X230 had the less common Mini-DP port, which I never used. I have both supported Docking Options. The X230T shows some scratches and wear marks. The HDD mount in the X230T was missing the rubber stabilizers. I was able to reuse the parts from my X230. I wasn't able to reuse my X230 docking station, even though both laptops are from the same generation and share the same core internals. 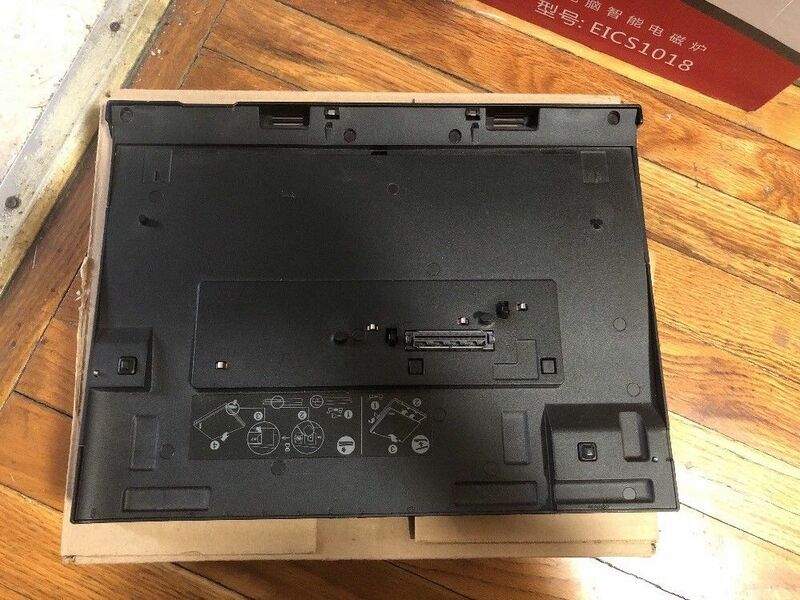 The eBay Seller of the X230T wasn't 100% honest and had changed out the factory memory and HDD. I had to spend money. In closing, I am quite pleased with my decision. It saved a lot of money over buying something new that I didn't necessarily need. Also, I'd like to think that my solution is better for the environment too. As I use the X230T to write this article, it's turned out to be a nice upgrade that didn't break the bank. Scratches and dents can add character, and can often be covered up with a carefully placed sticker. In my case, this laptop overall shows less wear than my X230, despite its minor blemishes.